The most famous art restoration was also one of the earliest in History – the restoration of the Sistine Chapel in 1565. Almost 200 years later in 1726, Michelangelo Bellotti restored the Last Supper by Leonardo Da Vinci, also another work that was more widely known. 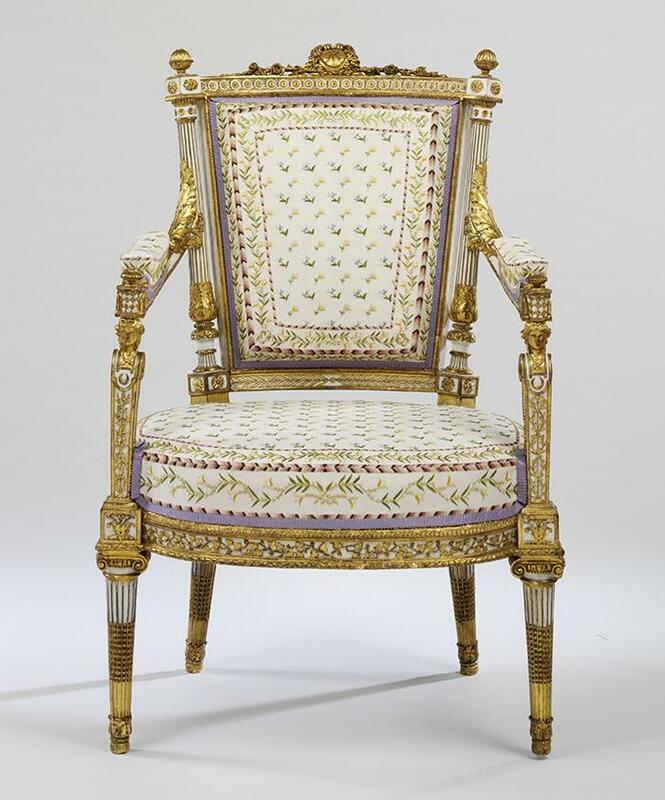 It was not until 1850, did the first and most famous Oliver Fine arts Restoration opened in New York City. 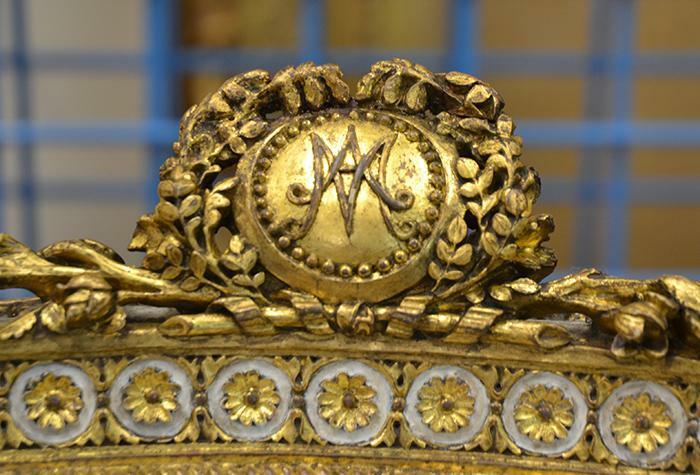 It is one of the longest running art restoration company, whose clients included the Metropolitan Museum of Arts. At at point, restoring art was not yet viewed scientifically, and it was either done by artists themselves, or apprentices whom had mostly artistic backgrounds. To begin the scientific history of art restoration, one must learn of Micheal Faraday and Louis Pasteur, who were both scientist from the 19th century. They were famous for many scientific contributions, however, what people did not know was their research on how environment can damage an artwork and paint. It was not until 1877, the Society for the Protection of Ancient Buildings in the UK, the first constructive conservation work began around some important cultural heritage. On the same time, Eugène Viollet-le-Duc, a famous french architect also began the restoration of medieval buildings in France. When art restoration began to developed as an idea in Germany, it was mostly linked to sciences instead of the arts. Most people in this field were chemists, who focused the physical elements of the art piece instead of the aesthetics. Friedrich Rathgen was one of the first and most important chemist for art restoration. Not only was he the first chemist to be hired by a museum in 1888 – Koniglichen Museen, Berlin – he also published the Handbook of Conservation, which opened the door for more chemists to enter this field of work. It was not until 1924, was art conservation an identified profession in Europe, when Dr.Alexander Scott created the Department of Scientific and Industrial Research in the British Museum. They began their work by restoring art damaged in the First World War. Harold Plenderleith, a chemist who worked in the department, then published The Conservation of Antiquities and Works of Art, in 1956, a significant work that established the standards of modern art conservation. Edward W. Forbes, the director of Fogg Art Museum in USA established the Technical Department in 1928, which highlighted the beginning of America’s scientific approach towards arts conservation. To many people’s surprise, the first french museum to established a relative department was the Louvre, in 1931, much later than its peers. In April 27, 1950, The International Institute for Conservation of Historic and Artistic Works (IIC) was established. It was the first conservation society recognizing the the professional practice. Till this day, the institute works to promote the knowledge of art preservation around the globe. In 1972, America established its own American Institute for Conservation of Historic and Artistic Works (AIC) which also promotes the same values, provides research, and connect the professionals with the public. The development of art conservation has come a long way in the western culture and it till still building milestones till this very day. I was looking online for the definition of people who restore art and came across the term restoration artist. It never occured to me that restoration can also be a form of art, and it had showed me a completely new side of it. So now I have to question myself again, what is the line between technology replacing craftsmanship, and technology enchaning craftsmanship? How can one define the both, and should anyone really make a line between them? Can technology help restoring art, or does it take away the jobs of specialists who dedicated their lives to this art form? I start to wonder if I am contradicting myself, because it might mean that I need to rethink my thesis, and what it really means to use technology for restoring art. This is the traditional restoration artist Milroy Harrison, he had dedicated his craft for decades, and by watching this I discovered the complexity of this art form. There are many terms and methods for restoring, and he has the answer to all the problems. And it made me wonder if there are certain things that technology cannot do, maybe there are some parts where only human attention can restore? In the video, him and his assitant talk about restoring art with such human emotion, it is almost like they have developed a relationship with the painting, and on the same time discovering how the original artist had painted it in the first place. This is similar to how the 3D scanners can render detailed brush strokes of each painting, like I have mentioned in a previous post. And then it clicked, aren’t they doing the same thing? Isn’t this what I have been argueing about the whole time? That art should not be replaced with technology? If they call themselves restoration artists, then they wouldn’t want their crafts to be replaced by machinery, would they? Then I came across another interesting term art conservators. It is another term they use to describe their occupation. Take Xiangmei Gu for example, she is one of the only Chinese painting conservator in the Freer Gallery of Art. What she does is to preserve the art from in the gallery, replacing the paper underneath the paintings, restoring chipped pigments on the paintings. It is not an easy job, as Chinese paintings are much different than western paintings. The paper is thin and she had spent years to master the skill back in China. And she said they the learning is not yet over. Here is a painting that she had restored, you can see how different the style is, and I wonder if 3D printing can do the same, and mimic the thin ink. Here is a video that shows the process of painting a chinese Gang bi style painting. When I see her treating art with such respect, I couldn’t help but feel like technology might be in the way of this traditional way of conservation. How can we really balance it out? 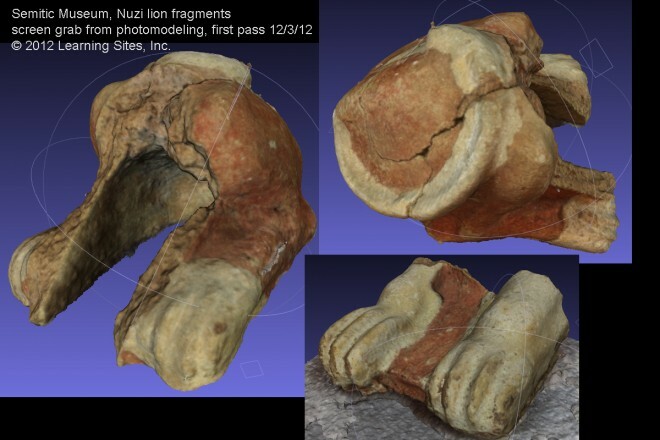 Perhaps 3D rendering and scanning should be used to build a data base for the future. But for the present, we should not forget the small community of restoration artists/ conservationists. Perhaps it’s just me, but there is something about the human emotion that’s put into the process, it makes the restoration even more meaningful. 3D printing might have percise, cheaper, and faster, but in the end its just a machine, and it lacks the understanding of the art we are trying to preserve. That’s something I’d like to keep in mind, and continue thinking about. A new (possible) way to restore paintings? This is Tim Zaman, he is a Dutch researcher who developed a method to 3D print the painting and make an accurate reproduction of the painting. In the video, they were scanning Rembrandt paintings, through the scans they discovered the layers underneath, and the way he painted. It was almost like an algorithm that developed. It was simply amazing watching this video, to see the painting ‘naked’. Just a raw piece of art being preserved for the future. Not only is this preserving the painting, it is also discovering the way Rembrandt paint. Every stroke on the painting was detailedly scanned, and the rendering image looks almost like another art piece on its own. I would love to see a set of art built with only these renderings. This is a new way of art preservation. By building a database of these artworks, it will be much easier for museums to restore the paintings with precision. Of course we can try to prevent accidents from happening, but there are certain times when we cannot control life events. When it is not within our control to change the incidents, like war, or natural hazards, the only way to go is to build a data base and hope that day won’t come. But if it does, we will know what to do. I have previously talked about rebuilding the monuments in Syria, and this is a much similar process. Except it is restoring a 2D painting as a 3D object. I had also discussed in my previous post whether technology can degrade the value of art, and this would be a good example of how art restoration should be an exception. We would not want another case like Cecilia Giménez, which was a well intentioned tragedy. Maybe if this lady was introduce to this technology, the outcome would have been varsely different. No one would laugh at this questionable, almost trolling image on the internet anymore. You’d really think it’s just an internet meme, right? Have you ever seen a stop motion movie? The Nightmare before Christmas, Coraline? The process of making these movies is very time-consuming. Imagine making all the figures, sets and having to shoot the scenes one by one. If you have mistakes, then you might have to do it all over again. As an artist, it is common to strive for perfection. Even I would admit there was a list of small details I refused to let go over the years. But does it matter how much time we put into a piece of art? What if the process can be shortened with technology? Does that make the art less valued? I came over an article introducing Protocube, a company that produces 3D printed colour figurines that are used for stop animation productions. The process is simplified, accurate and more efficient. As you can see, the product is indeed very impressive, it is detailed and thoughtfully designed. All of this is done by computer and machinery, it is just one of the amazing things that 3D printing can do. I have reservations when it comes to 3D printing for art. Though I like the idea of it, it always bothers me how the process is so much more simplified than it used to be. Take animations, for example, in the older days you have 2D animations, you draw it completely by hands. Now, with technology, you can use computers for more accurate graphics. Then came 3D animation, a process that simplifies the repetitive work that you can find when drawing the same element over and over again. To me, the spark is somehow gone. Here is the making of a stop motion video. You can see that they have used the laser cutting technology when making the characters, but other things were all done by hand, the background, gifts, trees, snow etc. This is Hayao Miyazaki, one of the greatest animator of our generation. His animation takes dedication, time and countless hours of revising, testing, and improving. I have been fasinated by his work since I was a child and he has embedded the idea of craftsmanship in my head. Somehow, it has affected me on how I see the evolution of craft making itself. Everything is technology oriented nowadays. You can build everything with computers, an algorithm that is suppose to enhance our lives, make everything easier. If everything can just become an equation, we have already lost the essence in our craft. Come up with an idea for a new Disney movie, learn how to draw in 3D softwares and skip the whole ‘frame by frame’ process. Why? Because it is less time consuming and saves the studio much more money than 2D animation. Have you see any new 2D animation feature films lately? I haven’t. With art comes money, but it also costs money. Maybe in the end we forget that artists don’t make the decisions, the sponsors do. Try to be independent and make your own traditional stop motion film or 2D animation, you will feel great. But you might also feel broke, and overshadowed by the mainstream productions. I find myself in a crossroad here. I am fascinated by the complexity of 3D printing, but I am also grieving for the disappearing art forms that will soon become history through time. Perhaps there is some lines that I will not cross, especially when it comes to art. 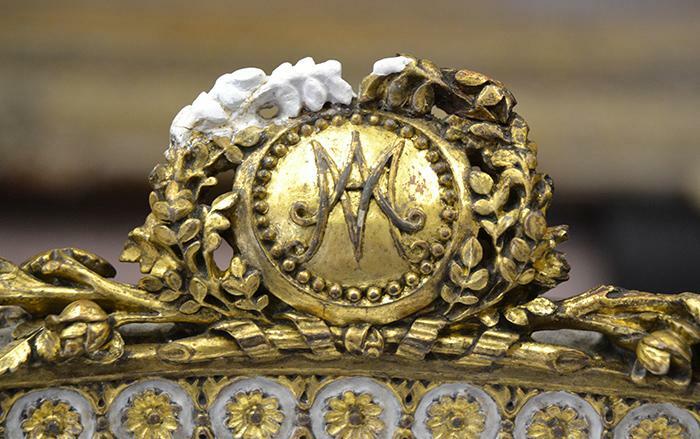 Art restoration is different from creating a new piece of art. The prior is to restore the work by someone else, accuracy is the foremost important, so 3D printing is the way to go. The later should not be a process that shortens with time, unless you are creating 3D printing art instead of replacing another art form, it shouldn’t be different because it makes less profit. It is art, and art should not be defined by how much money it can make. If that’s the most important thing than everyone should just go make movies like 50 shades of grey, that’s a great piece of art that our generation should remember, a great piece of sh*t.
After doing a long period of research, I have decided to slightly change the focus of my topic. As the history of 3D printing is not long, there needs to another way to relate history with the technology of 3D design. 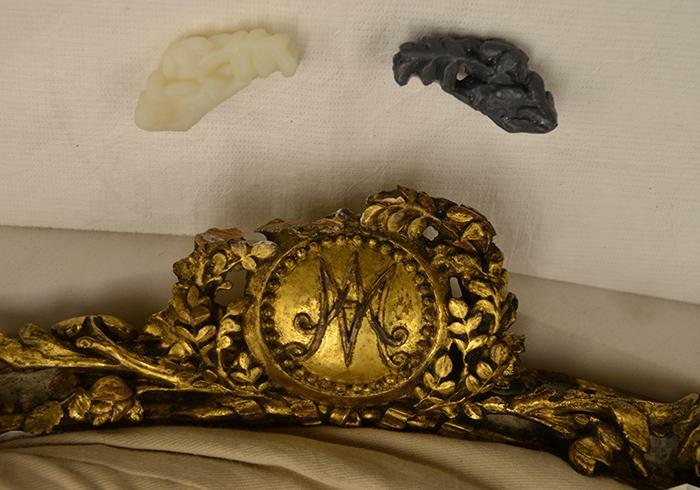 In my previous post, I looked into the topic of restoring art by using 3D printing technology. As I have looked further, I have discovered that this is a growing trend because of the lower cost and shorter time. Therefore, I have decided to look into how 3D technology can restore the past, and innovate the future. This topic includes the history aspect of 3D printing, and also looks into the design trend towards the near future. To continue with art restoration with 3D printing, I have found more examples that were quite impressive. At the moment, the refugee situation and the invasion of ISIS is something that affects our lives in some certain way. Apart from the lives in danger and WWIII conspiracies coming along, I was extremely baffled with the monuments being destroyed. It not only destroyed years of art and culture, it also erased the identities of the nation. I don’t know if you have read the book ‘In the name of Identity’ by Amin Maalouf, but reading all the news on this situation just made me think of that book. Identity itself as an ideology had always been in the back of my head, as I struggled to identify myself as what I am and what am I suppose to be. So when people ask me why I even bother about artifacts and ruins that had already been gone, that it is just art and not as important as saving lives. I’d simply tell them that without an identity, staying in a world that you don’t belong in, is hardly living at all. Not everyone can save lives, but we can, in our given power, change the world in a way we deem purposeful. That is why, I have such a passion in restoration of art, for the purpose of giving back people their identity. Archeaologists from Oxford and Harvard universities have been developing a ‘Million Image Database Project’, in hope to preserve Syrian ruins by using 3D printing technology. They plan to have at least 5000 3D cameras out on the field by January 2016, capturing photos of at-risk ruins and create a data base. A GPS function will allow a public contribution. In the future, they can 3D print more accurate models for education and other purposes. Here is a video introducing the city of Palmyra, take a look at the ruins before it was occupied by the ISIS. As you can see the top of this chair is slightly damaged, but already has an impact on the aesthetics. Two people decided to use 3D technology to fix the chair, Zoe Allen, and Phil James. Because the wooden part was all hand crafted, it was extremely hard to make a look like. So they made a mold of the remaining part , then they scanned it to create a mirrored 3D image, and 3D printed the parts. 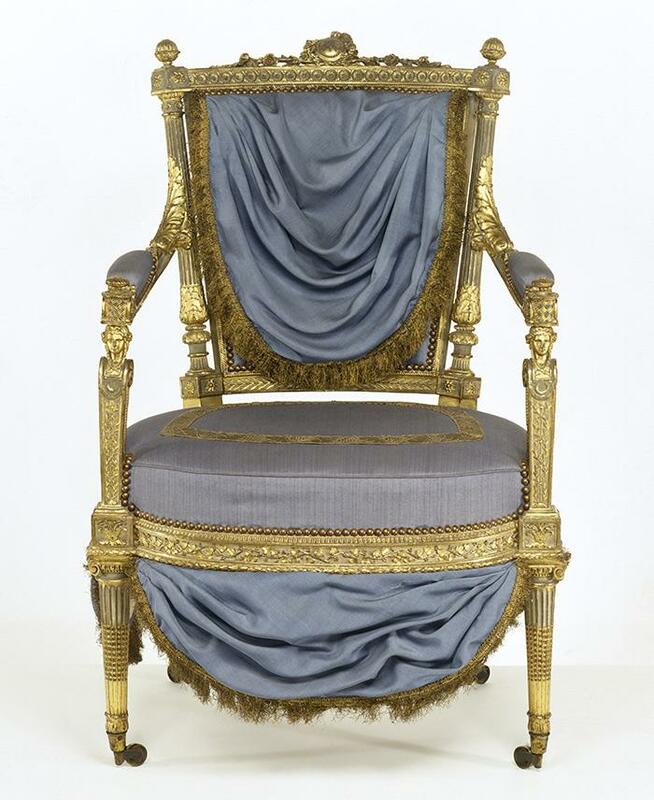 This is how the chair looks like after the restoration! 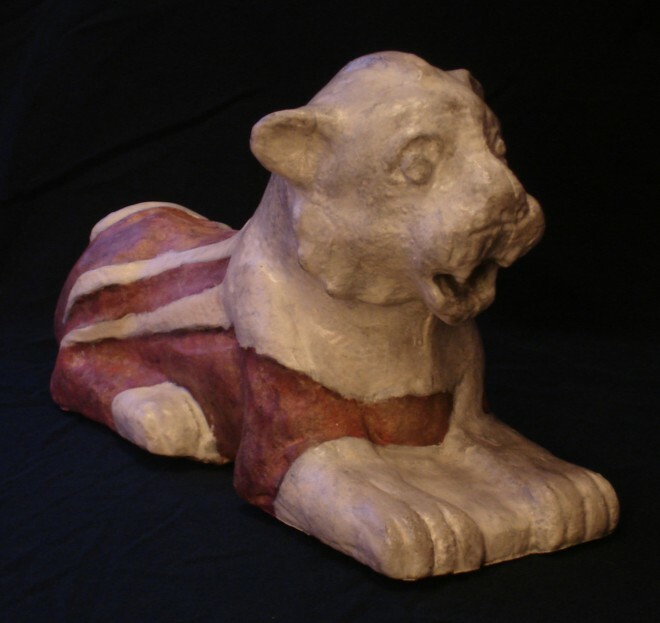 This is a ceramic lion that was found in the city of Nuzi, it was used to worship Ishtar. It was destroyed by the Assyrians during war, and now it nest in Harvard’s Semitic Museum. The 2 foot long lion was so damaged only the front paws and back legs were left of the statue. So what they did was to borrow the same statue that was stored in Upenn, and restored the statue with 3D printing. As you can see, it is as realistic and similar as it can be. This is the restored lion statue, it is complete now and can help people study the history of Akkadian Empire. History is to easy to be forgotten, and the ancient civilizations are often overlooked. Maybe to majority of people an empire that existed in the bronze age is not important, but it is through the course of history that we get to where were are today. And the fact that we can use technology to restore what is lost, is simply fascinating. Especially when you think of all the monuments in Syria that has been destroyed by the ISIS. Though restoring the mounuments with 3D printing does not mean restoring the people’s identities. If the day does come, and we can safely restore them in that land, it means so much not only to the preservation of art, but to the people’s culture and more importantly their identity. Continuing on our topic on 3D printing with recyclable materials. There has been a recent breakthrough in the industry, with this machine being invented. The reason why I am so impressed is that I have been interested in creating a more accessible sustainable 3D printing, an open source that can turn into a social entrepuership opportunities for many developing county. Of course, it is unsurprisingly capitalized, no matter how they claimed to make it ‘accessible to students, designers and everyone else’. It is in the end all about money. It costs 699USD, hardly ‘accessible’ at the moment. However, they still deserve a round of applause, for those who can afford it, this machine is sustainable and changes the way of how we view 3D printing. It can save the environment by producing less waste. For those who doesn’t know how filaments work, the most important thing in the process is melting the material. And as you can see in the video, the materials you insert has to be in small pieces, in order to be melted into a filament. The biggest barrier as a designer for sustainable 3D printing, personally, would be to simplifying the shredding process. Here is a industrial sized shredder. It is expensive to buy the metal blades, even if you 3D print them with metal filaments, it is not easy to access. So for me, the next breakthrough will be when we can make filament making accessible to the public.